I received the following product in exchange for an honest review. All thoughts are my own. Here is some information about the scarf. (New York, NY/Wüstenselbitz, Germany): Over the years, season after season, scarves and wraps have been enhancing the wardrobes of celebrities, trendsetters and fashion leaders. Scarves are adding the excitement of an eye-catching accessory to every look from jeans to dresses, and wraps are the new perennial outerwear. As the leading company in this category, FRAAS designs a collection that amazes and impresses the marketplace season after season. 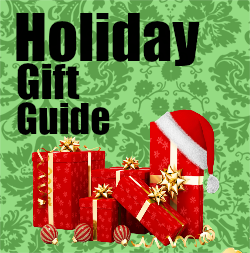 "The Fall and Holiday grouping features many fresh and alluring options and we are experiencing a very positive response,” says Ken Krieger, VP of Sales for the innovative international manufacturer and marketer of woven and knit scarves, capes, ponchos, stoles, ruanas, wraps and gloves. “Creating distinctive, beautiful and affordable products for varied tastes, budgets and climates has always been a main concern for us at FRAAS,” adds Aimee Zucchetti, Brand and Sales Manager for the company. “We enjoy helping consumers renew their wardrobe with brand new and exciting products. The newest FRAAS line features distinctive styling that updates and/or coordinates with existing wardrobes as well as the up-to-the minute fashion. There are a variety of yarns and techniques so that every climate and preference is addressed with retails ranging from $26-$100, therefore many affordable options. There is no other fashion accessory that makes such a strong and long lasting fashion statement at this price point! Scarves are the savviest accessory for both gift and self purchase and with so many available sizes, color ways and shapes, one can create a distinctive look with the way it is tied or layered and matched with an outfit. Some do double duty and can be used as a shawl or scarf and can be discreetly packed for travel or dining...even a cool office. Wraps and related products such as the ruana, cape, poncho or stole silhouette are a big story going forward and work alone, as a layering component, or as outerwear. Consumers also love the ease of the infinity silhouette; therefore several options have been included for 2013. FRAAS is on the mark with its color palette and trends which include COUNTRY ETIQUETTE (rich autumnal shades), NOUVEUX GENERATION (including many pop colors and bold looks) and PALACE GRANDEUR (an embellished and opulent story). Yarns (woven and knit options) include Cashmink(TM), acrylic, modal, viscose, cotton, poly, wool and cashmere. Patterns and accents include touches of metallic, updated plaids, unusual animal prints, elegant abstracts, florals, color blocking and ombre effects, menswear with a twist, geometrics, dots and stripes. Digital prints are gaining popularity and reversible styles appeal to many consumers due to their flexible styling. Novelty techniques such as unusual fringe, crinkling, gathering, open work, scrunch, boucle and loops adorn select styles. Velvet is also back on the scene and looks super rich. Technologically advanced knit gloves continue in even more sophisticated looks. Textured and metallic styling is offered at a retail just under $30. These gloves work with touch screen devices while keeping the wearer warm, well-accessorized and looking great. They are something not to be missed as a self or gift purchase. 360528 is the Metallic Zebra style. 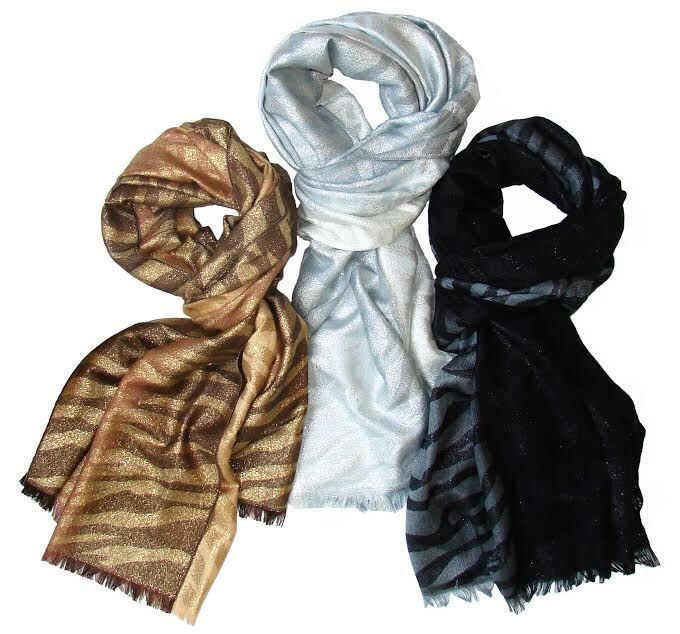 Its pretty use of metallic yarns (mixed with acrylic and viscose) combines with the always popular animal print, to create a 12x80 inch accessory that works beautifully as both a wrap and scarf. Three color ways are featured including a black combo, as well as gold and silver. Great for dress up, special occasions' or just for fun, it retails for $35. From its bases in New York, Paris, London, Wüstenselbitz, Toronto and Shanghai, FRAAS' parent company V. Fraas’ design teams—one of which is dedicated entirely to the FRAAS brand—travel to major shows and forecasting seminars throughout the globe to identify new trends and develop products that are perfectly attuned to fashion and customer demand. The 5th generation/130-plus year old company’s research team, meanwhile, works busily to develop and discover new yarns, fabrics and methods for manufacturing products that are of outstanding quality. Truly internationally oriented, the company boasts sales subsidiaries and satellite offices in New York, Toronto,London, Paris, Berlin, Denmark, Italy, India, Hong Kong, Shanghai and Tokyo. I highly recommend this scarf to anyone that loves to wear them. This scarf kept me warm during our sub zero temperatures this winter so its great for any climate.